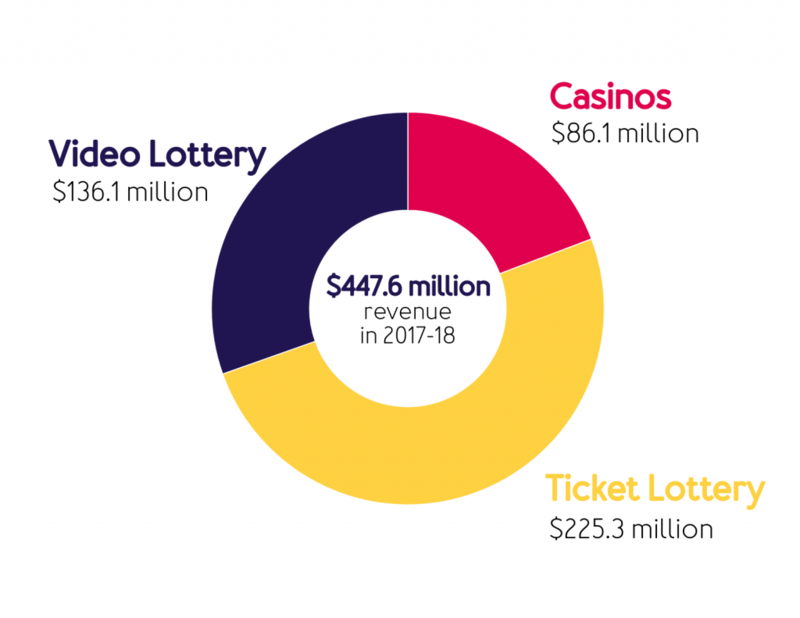 Adult Nova Scotians who choose to purchase lottery products, play video lottery or take part in various entertainment options at our two casinos are contributing to our province. You are helping to support important programs and services that benefit all Nova Scotians, like building schools, paving roads and funding health care. In 2017-18, revenue from these three streams of business totalled $447.6 million.